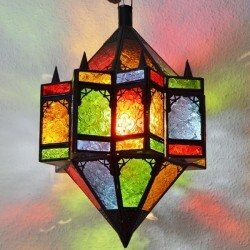 Octagonal star lamp with two cones of iron and glass of various colors (blue, mustard, red, green). 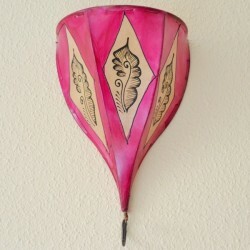 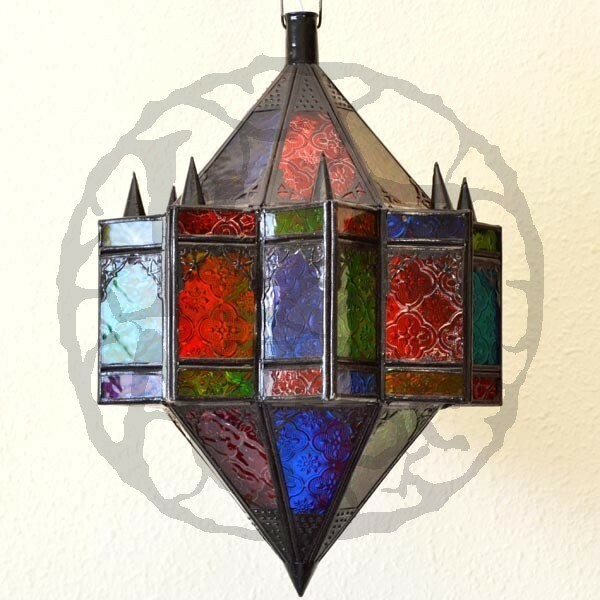 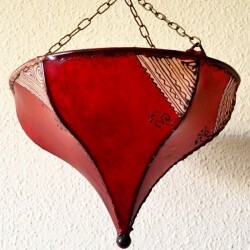 The package includes a Moroccan Octagonal star lamp with two cones of iron and glass (does not include chain for hanging). Light is a very important element in the decoration of the Arab world. 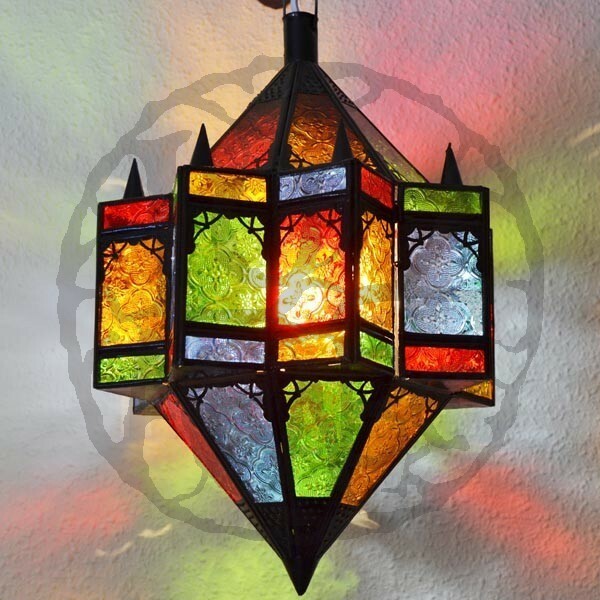 This Octagonal star lamp with two cones of iron and crystal of various colors will introduce a set of colored light reflections creating a romantic and very relaxing.